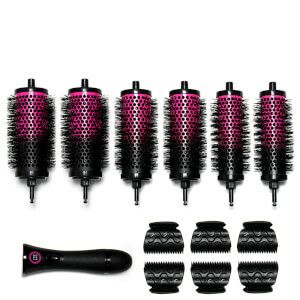 Add shape, volume and curl to your hair with the BaByliss Thermo-Ceramic Hair Rollers. Delivering fast, high heat for long-lasting results, the BaByliss heated rollers are ceramic-infused to ensure smooth, sleek results, and have variable temperature to suit all hair types. The set of 20 heated rollers come in small, medium and large, allowing you to create big bouncy curls or tight, defined coils. The rollers also have cool ends to keep fingers safe from heat. Arrives with clips and pins for securing in place. 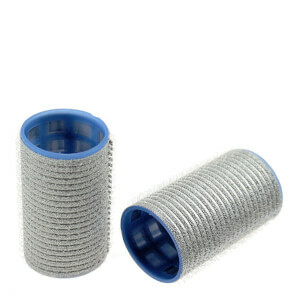 Rollers can be used on damp or dry hair. 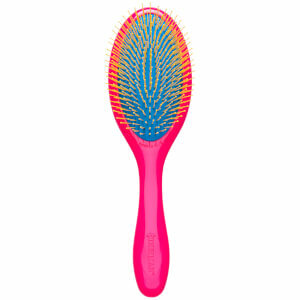 Receive a FREE all new Denman D93 Gentle Tangle Tamer - Pink when you spend £15. Time to detangle with ease! Complimentary gift will be awarded at the basket. Offer valid for a limited time only, while stocks last. They give a nice bounce to the hair at the bottom but not really a curl like you would expect or like the box shows. Take an extremely long time to heat up well over 45 mins and curls fall out super quickly no matter how long you keep them in or how much hairspray etc you use. However for price they are not that bad and would probably work better for shorter thinner hair. The babyliss chunky curling wand and the normal curling wand work a lot better highly recommend them instead! Great product, affordable , cute and black .. what else could a woman want ?